To really unlock your potential you need to take ownership of your professional development, and establish a learning plan which helps you meet the requirements of your current role, and prepare for any future roles. To help structure your development, all CIMA members are required to work through the CPD cycle at least once a year. This framework helps you define what you need to do, assess your current abilities and identify gaps in your skills and knowledge, design a plan to fill those gaps, take action by working your way through the training, then reflect on what you’ve achieved and evaluate what you still need to do. 1. Define current and desired roles recognising expectations of employers and others. 2. 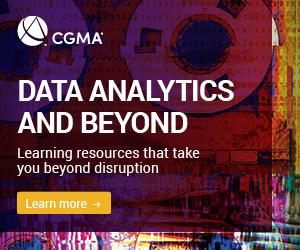 Assess development needs using the CGMA Competency Framework to establish knowledge or skill gaps. 3/4. Design and act – choose and undertake development activities that meet your development needs. 5. Reflect upon and document the outcome of each development activity. 6. Evaluate progress against the objectives set at the beginning of the year. Any outstanding development can be carried over into the next cycle. To get the most out of your development you should revisit your plan and work your way through the CPD cycle regularly. All CIMA members are required to record their professional development. As a minimum your record needs to follow the six steps of the CIMA professional development cycle. Using the CGMA Competency Framework as a basis, the website helps you identify and meet your learning needs whilst ensuring that you follow each step of the CIMA Professional Development cycle. CIMA Development recognises those employers who support the lifelong learning of CIMA members. CIMA members employed by these organisations can use their appraisal/personal development plan to record their CPD, and don’t need to submit their records if selected for monitoring. For more information on recording your CPD download our free guide. Any activity that helps you develop your technical, business, people and leadership skills or enhances your understanding of ethics, integrity and professionalism could count as CPD. This approach allows you to tailor activities to meet your individual needs, preferred learning style and budget. CIMA professional development is a self-verification scheme. 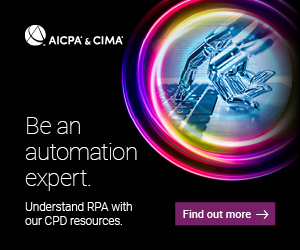 CPD compliance is based on trust and whilst CIMA offers support to Members, it is the responsibility of Members to assess their development goals and needs, select the most appropriate activities, and design and record their professional development accordingly. Every year a random selection of members' CPD records are audited to ensure that our standards are maintained. If you are selected for monitoring, we will contact you. You will need to demonstrate that you have completed each step of the CPD cycle and will be expected to be able to provide CPD records for the last 12 months. If you are selected for monitoring and believe that exceptional extenuating circumstances in relation to CPD may apply to you or if you are planning to have a break from practice, please contact the CPD monitoring team for advice. CIMA’s approach to CPD is facilitative but it is important to know that, as a final resort, a member who fails to comply with the CPD policy will be referred to a panel of CPD assessors who will determine what action to take. Where wilful and persistent non-compliance is suspected, the panel may refer a case to the Investigation Committee which may result in a disciplinary sanction being imposed against the member, including in the most serious cases expulsion from the Institute.